When I was in my second year at Rapid Fire Theatre, I was convinced that the reason I was struggling on stage was because I was playing short form Theatresports™ (the format created by Calgary’s Keith Johnstone). I was positive that once I was doing long form improv, a lot of my troubles would go away. I blamed the format for my inability to commit to scenes, and thought playing games pandered to the lowest common denominator. Not only was an improv snob, I was wrong. I later learned it’s never the format’s fault. Looking back, I now know that short form and long form improv are the same. Sure, there are different structures to explore, but in the end, a good scene is a good scene, whether it stands alone or is sandwiched between other scenes. As a student in Red Deer recently put it, “It’s just the size of the canvas”. If you can do a great short form scene, you can probably do a solid long form, and vice versa. This is all to say, I believe that Theatresports™ is a worthwhile structure to invest in. I’ve heard a lot of players who are newer to the form say they’re sick of it, they want to try something new. My message to them is: then try something new! The format is just the vessel for whatever you want to explore creatively. 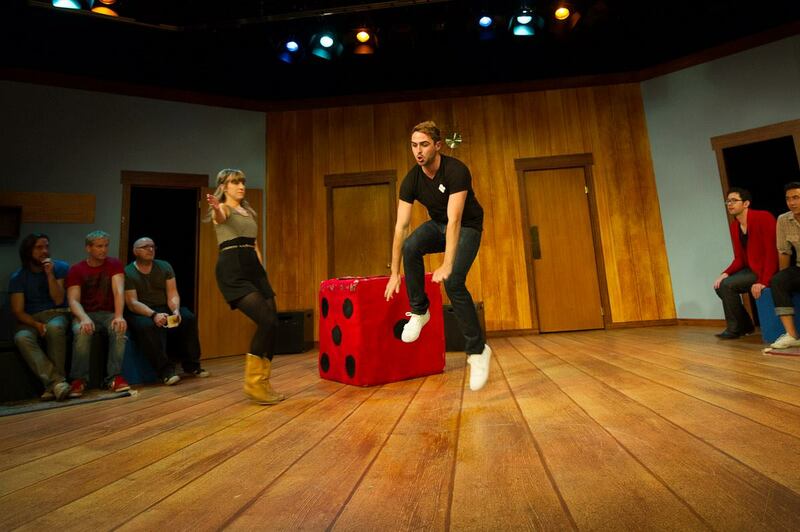 Any skill you want to explore can be explored through Theatresports™. You can create a longer story by tying your scenes together narratively. You can explore all the edits in the world (tap, sweep, pulse, flock). You can share personal stories in a mini-Armando. Don’t get caught up in the structure: it’s there to shape the show, not to be the show. Look around your ensemble and create the weirdest, most unbalanced team you can. Make a team of the people you never play with (maybe they’re from a different generation, maybe they are socially awkward, maybe you don’t get along). Make a team of people who seem to all have the same skill (a team of drivers, a team of monkeywrenchers). Ask an alumni you don’t know to sit in with you. Guaranteed there will be surprises in this show. Ever played an Alphabet-backwards scene? Or a Moving Bodies Dubbing scene? Or Stage Directions using an exercise manual as the directions? Many handles are flexible and can be jammed together in wild and interesting ways. Can these games absolutely tank? Yes! But you know what they say: no risk, no reward! Tell the captain of your team that they should decide all of the games for the whole match, and that you would love it if they kept them a secret from you. Tell them you want to be thrown into scenes, directed, and made to do things you don’t normally do. If you have player judges, try audience judges, or do a Danish match, where the audience yells which team they prefer each round. You can’t force this one, but it’s a great way to change things up. Keep your eyes open for patterns that emerge outside of scenes. How can what you do in scenes play into, or contrast, what you are doing out of scenes? If these meta-narratives take over the show, you have failed, but if they are spontaneous, they can add an electric energy to the show. If you always do 3 on 3 matches, or 4 on 4, see what happens when you create teams of 2 or 5 or 1 performer. First off, the dynamics of the whole show will shift in terms of what you games you can play (He Said She Said is a great game for 2 people, but impossible for 1). Secondly, a meta-narrative may emerge (in the case of 5 vs. 1, it’s almost certain the solo performer will win the match. The audience loves an underdog). Ask the judges to get rid of their number 3s. Try a couple weeks in a row where your judges (or host) are very strict with the Basket/Ring of Shame/Paper Bag. Try a match with time restrictions on each scene of varying length. Challenge teams to do a scene with no suggestion. Try a week with or without a musical accompanist.